Incubus was the demon who's book was in the museum that Akutabe Detective Agency helped protect, Akutabe stole the book to get a new demon and to protect it from those who would use it for evil. 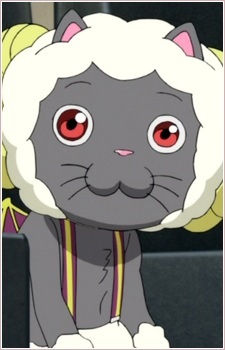 Sakuma made a contract with him and has used him inplace of Azazel without trouble. He looks up to Azazel and calls his master, even getting involved in a plot by Kiyoko to pretend to become a villain so that Azazel can awaken his true power, though maybe also partly because his meek personality. He seems to gets bullied by others easily and seems timid.